As I noted in a previous post, the Znir gnolls were just as playable in fourth edition, but rules for playing them weren’t included in the 4E Player’s Guide for Eberron; they became playable when I wrote rules for gnolls in Dragon Magazine. 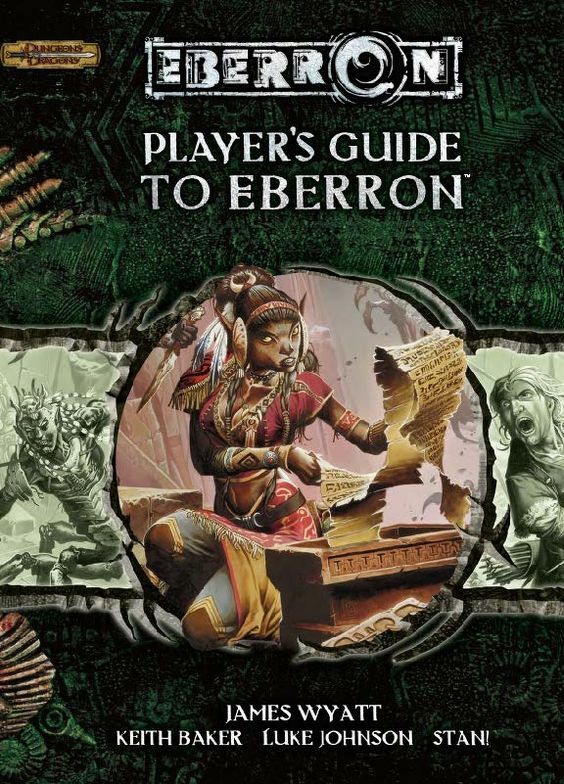 The thing about the Player's Guide to Eberron is that summation by chapter would be a really quick review. The book is two chapters. The first chapter is only eight pages. The second is more like 130. So that makes a quick, 'here's what's in the book' review slightly problematic. When WotC announced the Wayfinder's Guide to Eberron as a PDF release it caused a great disturbance as if millions of voices suddenly cried out in joy and frustration.